This season New York City is facing the possible loss of its most heavily used race venue - Floyd Bennett Field - but the region continues to be blessed with a heavy race calendar. This is particularly true early in the season when any given weekend features races in Central Park and Prospect Park, as well as Branch Brook Park just across the Hudson River. As convenient and memorable as these venues are, this upcoming weekend brings the return of a different style of racing at the Trooper Dave Brinkerhoff Memorial Race Series in Coxsackie, New York. Yes it’s a bit of a drive from New York City. But in exchange riders get to leave short park laps behind for some proper road race style action on exposed tarmac with the potential for big crosswinds that give the Brinkerhoff race series a very Spring Classics sort of vibe. 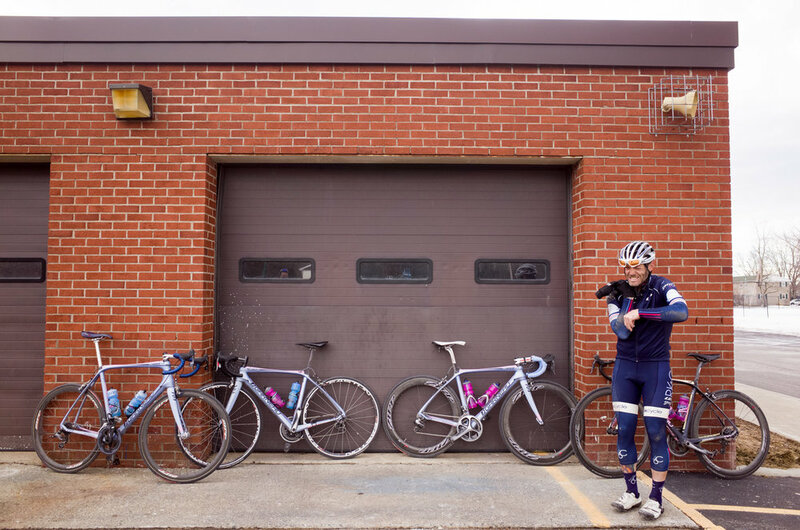 And the northerly location means the racing draws in a much broader swath of riders than the New York City scene - as much as we love our NYC racing community, it’s nice to race against some less familiar faces every now and then. And to top it all off, the race pairs very nicely with a trip to the local diner (or, pro tip: the Cask & Rasher) for post-race refueling as part of a pretty pleasant day trip from New York City. We’ve chatted with some of the team behind Brinkerhoff (and Cap Regions as well as Farmer’s Daughter) and their participation numbers have come down quite significantly in recent years. And as we wrote about in ‘The Bear Mountain Pricing Conundrum’ the cost structure for road racing unfortunately continues to move higher with each passing year. Which means if we, as a racing community, want events like Brinkerhoff and Capital Regions to continue existing, the racing community needs to get registered and show up to these events. With temperatures passing sixty degrees for Saturday’s Brinkerhoff opener, now is the perfect time to do so. We don’t have many photos from Brinkerhoff, other than this one of Roger pulling road debris out of his elbow after taking an unexpected tumble at one of the 2014 Brinkerhoff races.